As VMware Administrator you play key role to justify Storage related problems from VMware/ESXi prospective. KAVG (Kernel Average Latency) time an I/O request spent waiting inside the vSphere storage stack. QAVG (Queue Average latency) time spent waiting in a queue inside the vSphere Storage Stack. DAVG (Device Average Latency) latency coming from the physical hardware, HBA and Storage device. 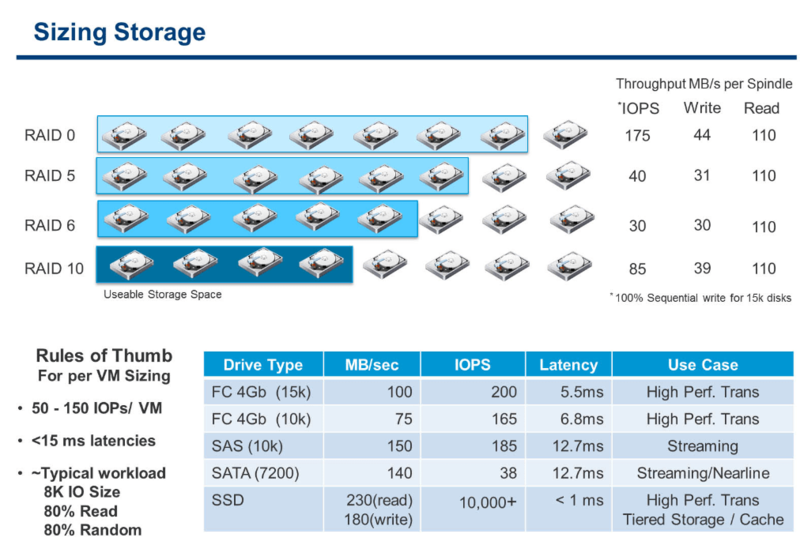 What are the rule of thumb indicators of bad storage performance? High Device Latency: Device Average Latency (DAVG) consistently greater than 20 to 30 ms may cause a performance problem for your typical application. High Kernel Latency: Kernel Average Latency (KAVG) should usually be 0 in an ideal environment, but anything greater than 2 ms may be a performance problem.